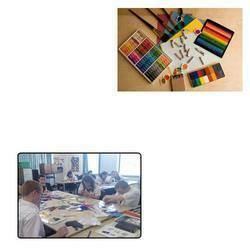 Pioneers in the industry, we offer art material for schools from India. We deal in the manufacturing, supplying and exporting of Art Material for Schools which are renowned among the clients owing to their marvelous quality and attractive color would simply lure our customers and they would be compelled to buy it. Looking for Art Material for Schools ?